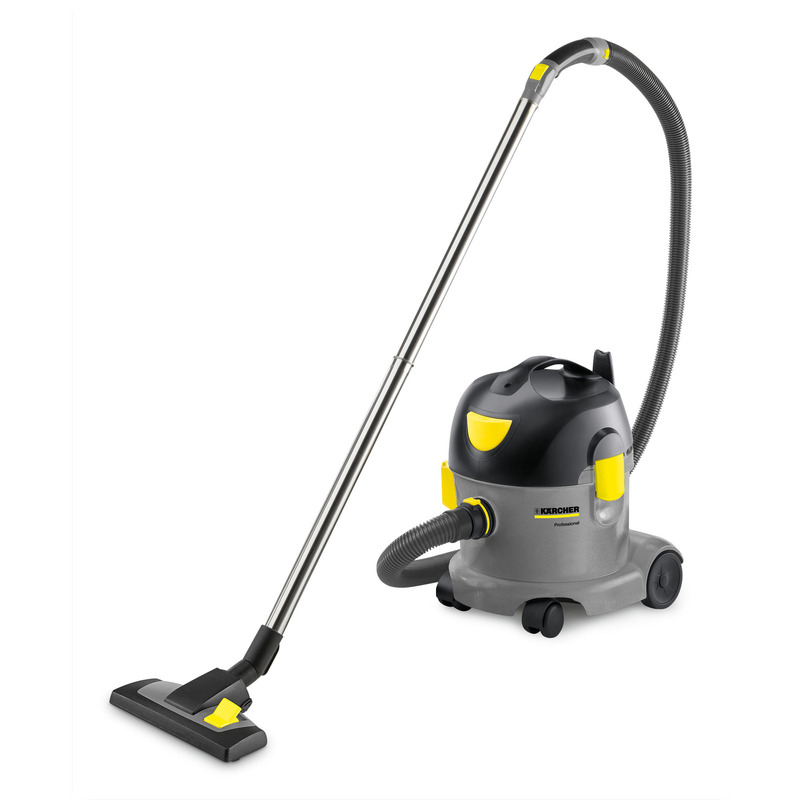 T 10/1 15271500 https://www.kaercher.com/ge/professional/vacuums/dry-vacuum-cleaners/dry-vacuum-cleaners/t-10-1-15271500.html This machine is a supremely robust, functional and powerful dry vacuum cleaner for professional users with optimal ergonomic properties and a compact construction, which is developed for the specific needs from hotels, gastronomy, contract cleaners and retail. This compact unit has a 1.250 W rating and generates a high vacuum of 24.4 kPa (244 mbar). It is operated via a foot switch without the need to stoop. The handily shaped, curved grip with clip system and infinitely adjustable suction power permits fatigue-free working. Suction hose length appr. 2.5 m. The cleaner owes its good rolling properties to a chassis fitted with two fixed castors and two steering castors. An all-round bumper ensures that the impact-resistant, 10-litre capacity container does not damage furniture. The T 10/ 1 comes with a fleece filter bag as standard. This holds up twice as much dust as conventional paper filters. 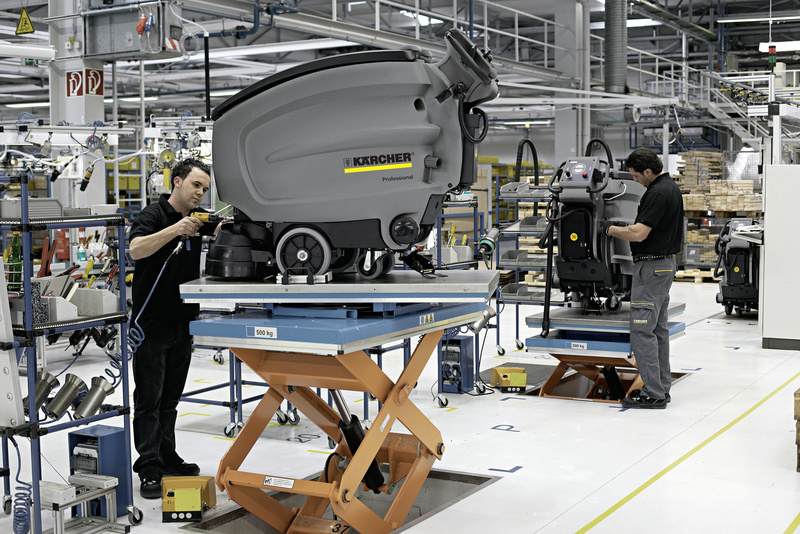 A six-stage filter system ensures impeccable retention performance. In addition to the three-ply fleece filter bag, a motor protection filter, exhaust filter and permanent main filter ensure that the exhaust air is clean. The main filter is made of washable nylon, so the machine can be operated without a dust bag. Foot switch for ease of use. No need to bend. A bumper protects the machine and furniture against damage.